Santa Clause is comin' to town, but it's not his wallet that's on the line! With commercials inspiring your kids to ask for the moon, many a parent feels the pressure a come up with the right presents. Luckily I have come up with the ultimate list of Gifts That Won't Break The Bank! Go to the kitchen drawer, and get yourself a wooden spoon. Get the permanent markers out, and draw a face on it! If you're feeling really generous, you can create a whole family this way! Google an 'area with soil of clay'. Throw a big spade in the back of your car, and drive to this area. Get yourself some clay. Wrap it up with a bow made of straw. Collect autumn leaves outside, and wrap them up. You can make all kinds of things out of leaves. Really. Like Fall themed necklaces. Rinse out those smelly jars, and fill them up with different colours of sand. Make sure to vary the colors! Your kids will love their ornament. If you really want to go crazy, give your kids five empty wine bottles to use as an instrument. Put water in them, and your kid can work at being a musician. Get four empty jars and fill them with orange, red, green and yellow syrup. Make sure you put the lid on tight. Your kid will be over the moon with these bright, colourful eye catchers. Go to the woods, and get some branches. Tie a ribbon around them. This present will really stimulate your child's imagination. Go the local supermarket and get yourself a big box. Present it to your child as an a: Playhouse, b: Car, C: Hat and D: Boat. Now this one is a classic: get an old sock, put it on a wooden stick and there you have it: a horse! Disclaimer: I can not be held responsible for any emotional or mental damages, nor scars on your child's soul, caused by the use of these lovely suggestions. Nor can I be held responsible to pay the bills for future therapy. How funny! Thanks for sharing with us at The Blogger's Pit Stop! Thanks for sharing with us at the To Grandma's house we go link party, see you next week! These are great traditional ideas, albeit a bit unconventional! 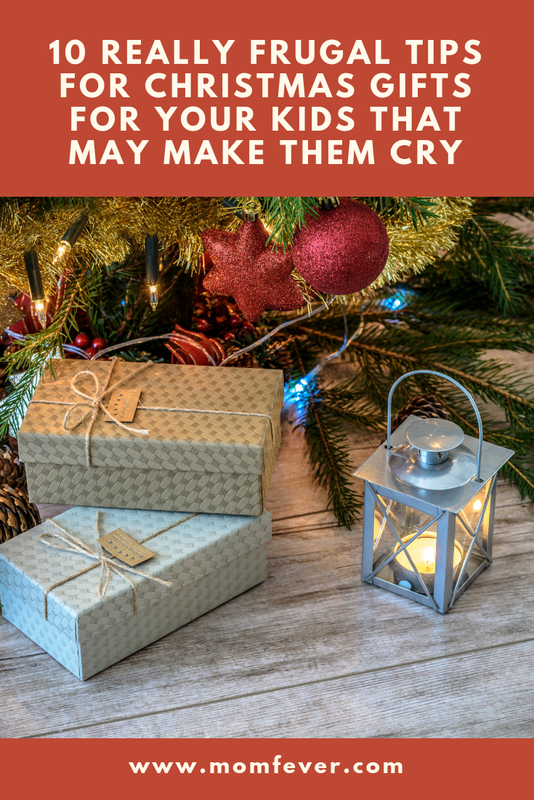 They certainly are frugal, and after all, Christmas is about way more than gifts. Thank you for sharing, and for being a part of the Hearth and Soul Link Party. Hope you are having a lovely week!